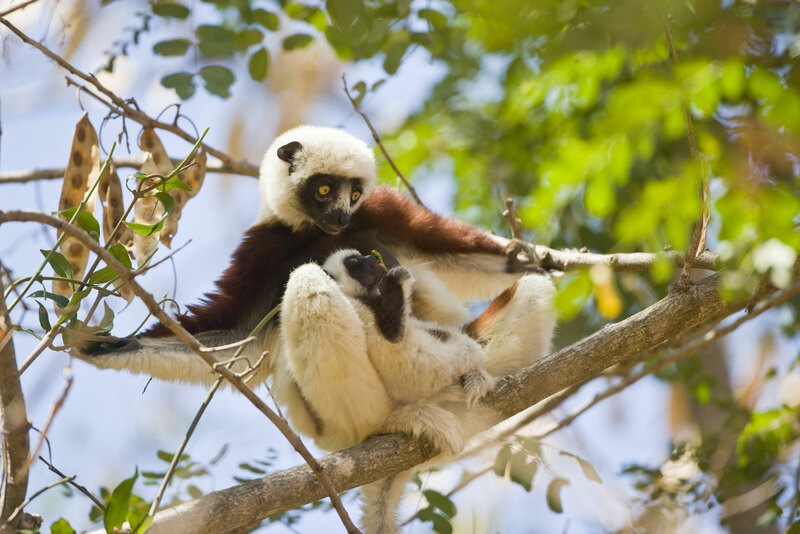 Focus on endemics such as charismatic lemurs, chameleons, and birds in this hotspot of diverse ecosystems. Madagascar is well known as one of the greatest destinations in the world with endemic species making up more than 90% of its wildlife. Our 24-day tour with maximum time in nature provides the perfect opportunity to get to know this island’s unique species well. This special itinerary caters to the pace of nature lovers and photographers offering several days in each special habitat to enjoy these incredible landscapes and their animals. Travel with Doug and Gail Cheeseman, who have 60 years of combined experience leading trips to Africa, and who will be accompanied by local wildlife specialist Solohery Rasamison. • Begin your journey early on our Tsingy extension from August 15 to 24, 2020. You’ll see the impressive geologic Tsingys and Avenue of the Baobabs, and experience the unique species that reside within the beautiful Kirindy Forest. 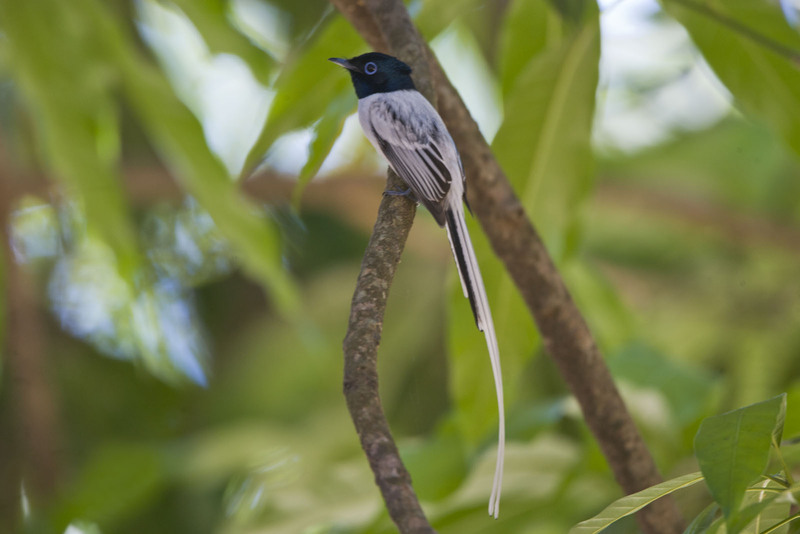 Observe endemics such as Madagascar’s largest predator, the fossa, the world’s smallest primate, Madame Berthe’s mouse lemur, and an abundance of endemic birds. • Begin your journey early on our Bostwana and Zambia safari from August 5 to 24, 2020. Travel to the edge of the Okavango Delta and Chobe National Park then onto Luangwa National Park in Zambia to capture unforgettable moments on your camera with professional photographer Tom Murphy. Aug 22-23 Travel to Madagascar from our Tsingy Extension or our Bostwana and Zambia safari, or depart from home. Sep 14 Arrive home today or yesterday depending on your flight schedule. Travel to Antananarivo, Madagascar from our Tsingy Extension, or from our Bostwana and Zambia safari, or depart from home. Arrive in Antananarivo (also known as Tana) either in the afternoon or evening today. If you are joining from our safari extension, you will fly to Tana today and meet the rest of the group. In the afternoon, join an optional visit to Lac Alarobia for birding. Each evening, you will have an opportunity to join optional night walks to explore the area’s nocturnal inhabitants. Geckos, chameleons, and colorful frogs are often heard during the day, but are more easily seen while night-spotting in the rainforests. It is also good to note that none of the snakes found on Madagascar are venomous. You’ll have a scenic drive west that allows time for plenty of stops for photography from Perinet Special Reserve back to the Antananarivo. Mobile camping immerses you in the wilds of Botswana, giving you a true African safari experience. Accommodations for the nights of August 24 through September 12. Meals from dinner on August 24 through breakfast on September 13. Airport transfers on August 24 from airport to hotel and on September 13 from hotel to airport. Gratuities – tipping is, of course, discretionary, however we suggest budgeting about $20 to $22 per participant per day for August 24 to September 12 with our main guide, plus local drivers, local guides, and hotel/camp staff (about $400 to $440 total per participant). This does not include any optional trip extensions. Items of a personal nature such as laundry, telephone calls, medical costs or hospitalization, room service, alcoholic and other beverages,and items not on the regular menu, etc. If you have special dietary needs, please indicate them on your Reservation/Release Form. This Madagascar tour requires a reasonable level of fitness and participants should be in good general health. Most of the wildlife viewing and birding will be done on foot and may require walking for several hours at a time. A few forest trails can be steep and slippery, especially after rain. Locating some of the endemic species may require a few longer walks. We strive to spend maximum time in the field and days are long and fairly demanding, though there is some flexibility to opt out of certain activities. Please contact us if you have any health concerns that may make this trip challenging. Flights you (or a travel agent) book: Arrive in Antananarivo (TNR) no later than August 24. If you are arriving from our Meerkat Extension, see the Flights section in its itinerary for arrival information. If you are arriving from our Botswana and Zambia safari, see the Flights section in its itinerary for arrival information. Depart from Antananarivo (TNR) on September 13. Flights we book for you: The four internal flights within Madagascar. The cost of this round-trip booking is included in the tour cost.